Dr. Nixon is a professor in the HES Department and teaches Physiology of Exercise to undergraduate majors and Epidemiology to both undergraduate and graduate HES majors as well as students minoring in Health Policy. She has a joint appointment in the Department of Pediatrics at Wake Forest University School of Medicine where she conducts the majority of her research. She received her Ph.D. in Exercise Science from the University of Pittsburgh where she was an Associate Professor in Pediatrics prior to coming to Wake Forest. Dr. Nixon’s research focuses on pulmonary function, exercise tolerance, and physical activity in children with chronic disease. 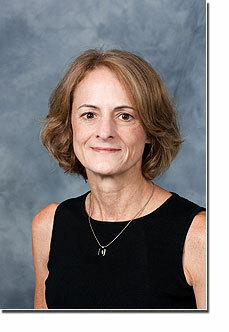 She is well-known for her research in children with cystic fibrosis. She is currently funded by NIH to examine cardiometabolic risk in adolescents and young adults born prematurely with very low birth weight, and the roles that fitness and physical activity may play in the regulation of cardiovascular and metabolic function and disease risk. A six-minute walk test for assessing exercise tolerance in severely ill children. J Pediatr 1996.